We have a bunch of exciting new ties coming to the shop very, very soon and I can't wait to share them with you (actually, we kind of already have - you can see River wearing one here and another on top of the Easter basket here). While they prepare for their debut I decided to attack a small project at home, recovering a little bench in my living room. There was nothing wrong with the "before" bench, which was once a patio coffee table that I bought at a thrift store for $5, it was just tired looking, having had the same fabric on it for the last ten years or so. The plan for the living room is to create an eclectic mix of colors, patterns, and objects all grounded by lots of white. I absolutely love white in my house, the lighter and brighter the house feels the better. 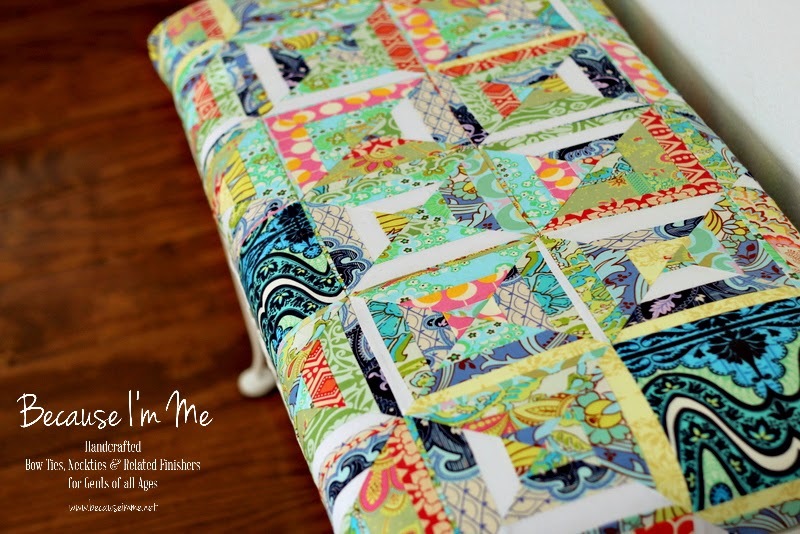 I grabbed a bunch of Amy Butler prints left over from this quilt and this one and created a new top for the bench. The piecing isn't done meticulously, I was going for a random patchwork look. After removing the top of the bench and spray painting the legs to freshen them up a bit the top was recovered and reattached. 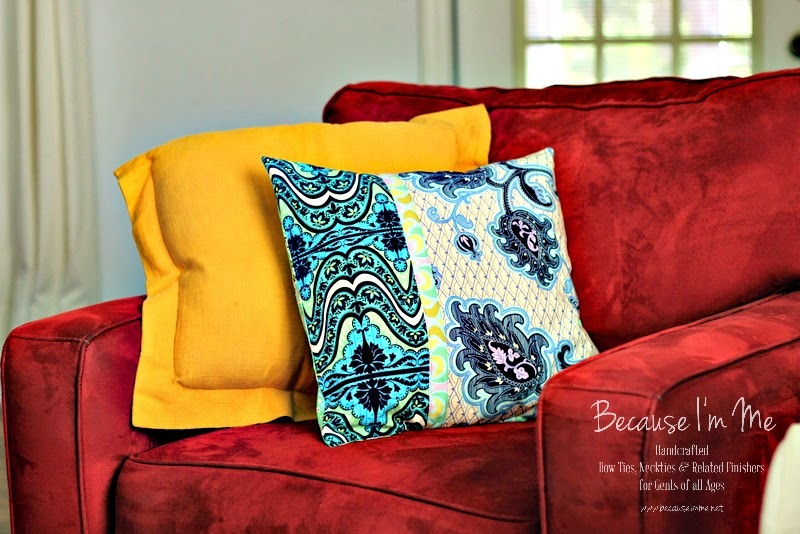 To unify the room a bit I made a throw pillow with some of the remaining fabric for the other side of the room. I love these fabrics so much! 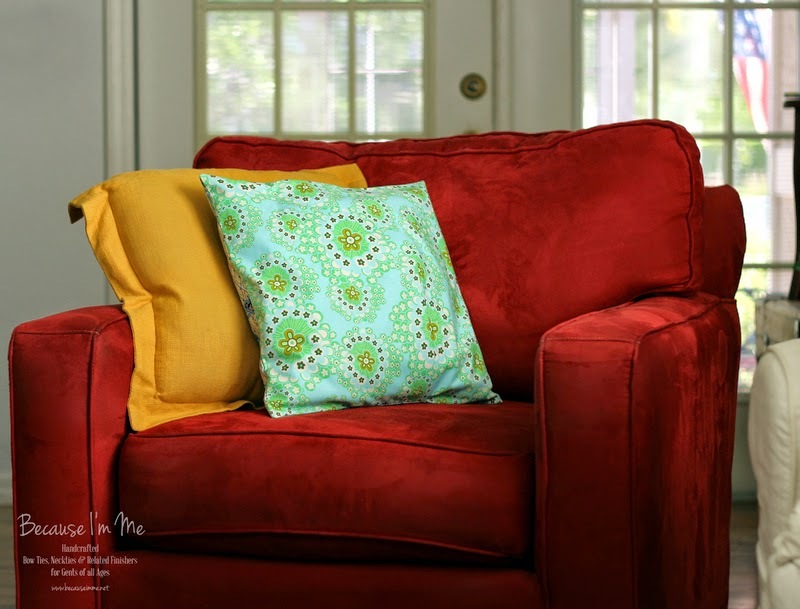 The pillow has a simple envelope closure and the fabric for the backside is just as wonderful as the fabric on the front. I'm going to add a few decorative buttons to the backside so it can just as easily be used as the front. Off to the next project ... painting all the baseboards and trim throughout the downstairs and, finally, putting the finishing touches on the new floors that were laid last summer. You stuff always makes me wish I knew how to sew. 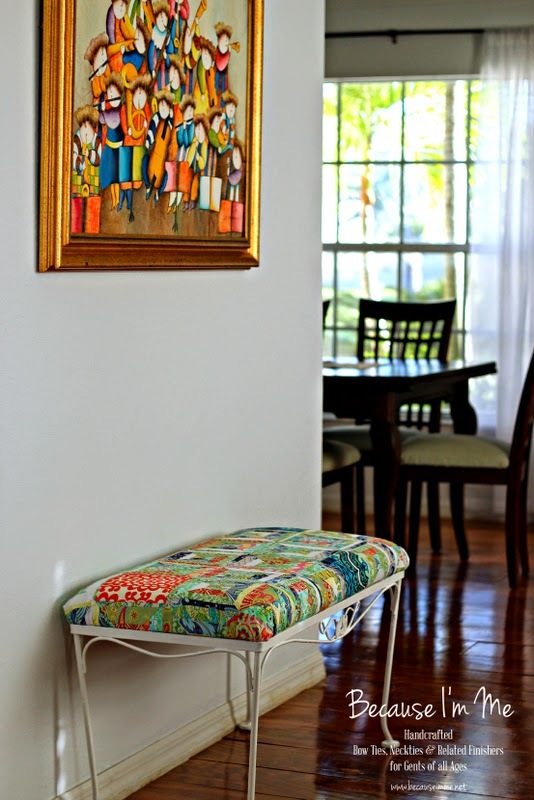 I really love the patchwork quilt bench! It is so unique, but still classy! Love, love, love the bench fabric.